one or more in your area?!!! Except home is a nursing home. And his neighbor just turned 93. 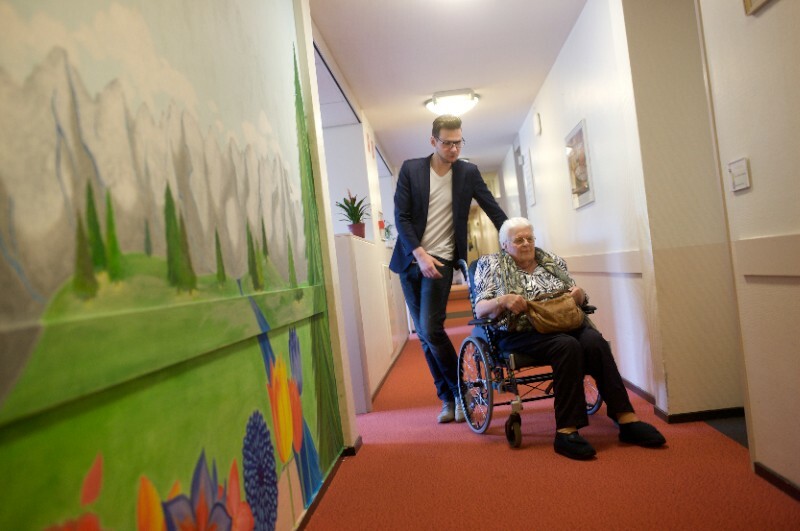 Mentink is one of six students living at Residential and Care Center Humanitas, a long-term care facility in the riverside town of Deventer in the eastern part of the Netherlands. In exchange for 30 hours of volunteer work per month, students are able to stay in vacant rooms there free of charge.Students in the Netherlands spend an average of 366 Euros (roughly $410) each month on rent, up from 341 Euros in 2012. Student housing is often cramped or dingy, and is increasingly difficult to come by. Amsterdam, for instance, was short almost 9,000 student rooms last year. Original article published in The Atlantic: CityLab. The Author Tiffany R. Jansen is a writer based in New York and the Netherlands. Thanks to DailyGood.org for bringing this to our attention.